It is anticipated that 30% to 50% of adults will develop Alzheimer disease or dementia by age 85 to 90 years. Alzheimer disease (AD) affects an estimated 5.5 million people in the United States, and it is anticipated that 30% to 50% of adults will develop AD or another form of dementia by age 85 to 90 years.1 The increasing rates of the disease underscore the urgent need for biomarkers that can identify patients with a high risk of developing AD, and for prevention strategies and treatment approaches that can slow its progression. 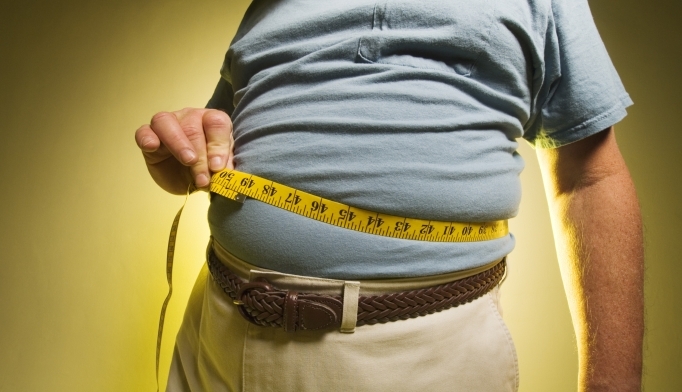 Findings from numerous human and animal studies suggest an association between obesity and AD. Throughout the life course, higher body mass index (BMI) and obesity are linked to cognitive decline, brain atrophy, reduced white matter and integrity of the blood-brain barrier, and elevated risk for late-onset AD. In pooled results from longitudinal epidemiological studies,3 the calculated effect size of obesity for AD was 1.54. Obesity is characterized by an inflammatory response in adipose tissue that involves the increased secretion of pro-inflammatory cytokines such as tumor necrosis factor-α, interleukin-1β, interleukin-6, and the chemokine (C-C motif) ligand 2. This response leads to chronic systemic inflammation that, together with the local inflammation in adipose tissue, promotes cellular insulin resistance, and ultimately hyperinsulinemia and hyperglycemia. Evidence from animal and human studies shows increased brain insulin resistance in subjects with AD. In addition, a prospective cohort study linked fasting insulin and homeostasis model assessment of insulin resistance with an increased risk for AD during the 3-year follow-up period, and postmortem research linked these variables to a higher risk for neuritic plaques.9,10 Other results revealed associations between insulin resistance and progressive medial temporal lobe atrophy, decreased hippocampal volume and cognitive performance, and reduced glucose metabolism in the left medial temporal lobe. Participants of the latter study are currently being followed to evaluate the correlation between insulin resistance and AD. The most promising potential treatment in this realm thus far is intranasal insulin, which improved verbal memory in patients with mild cognitive impairment who were APOE ε4 noncarriers and worsened it in those who were APOE ε4 carriers.12 In other research, a 21-day course of intranasal insulin led to improved attention, cognitive functioning, and verbal memory in patients with early AD.13 A randomized controlled trial noted improvements in delayed memory and functional ability after 4 months of intranasal insulin in patients with AD or MCI.14 Similar effects were observed with administration of the insulin analog detemir. Multiple randomized trials exploring the effects of intranasal insulin on AD are currently in progress.15 Limited findings indicate that the type 2 diabetes agents, glucagon-like peptide-1 receptor agonists, and sodium-glucose transporter 2 inhibitors may also be worth further investigation as AD treatments. Alzheimer’s Association. 2017 Alzheimer’s disease facts and figures. https://www.alz.org/facts/. Accessed November 25, 2017. Profenno LA, Porsteinsson AP, Faraone SV. Meta-analysis of Alzheimer’s disease risk with obesity, diabetes, and related disorders. Biol Psychiatry. 2010;67(6):505–512. Loef M, Walach H. Midlife obesity and dementia: meta-analysis and adjusted forecast of dementia prevalence in the United States and China. Obesity (Silver Spring). 2013;21(1):E51-E55. Gottesman RF, Schneider AL, Zhou Y, et al. Association between midlife vascular risk factors and estimated brain amyloid deposition. JAMA. 2017;317(14):1443-1450. De Felice FG, Ferreira ST. Inflammation, defective insulin signaling, and mitochondrial dysfunction as common molecular denominators connecting type 2 diabetes to Alzheimer disease. Diabetes. 2014;63(7):2262-2272. Freiherr J, Hallschmid M, Frey WH 2nd et al. Intranasal insulin as a treatmentfor Alzheimer’s disease: a review of basic research and clinical evidence. CNS Drugs. 2013;27(7):505-514. Kleinridders A, Ferris HA, Cai W, Kahn CR. Insulin action in brain regulates systemic metabolism and brain function. Diabetes. 2014;63(7):2232-2243. Farr OM, Tsoukas MA, Mantzoros CS. Leptin and the brain: influences on brain development, cognitive functioning and psychiatric disorders. Metabolism. 2015;64(1):114-130. Schrijvers EM, Witteman JC, Sijbrands EJ, Hofman A, Koudstaal PJ, Breteler MM. Insulin metabolism and the risk of Alzheimer disease: the Rotterdam Study. Neurology. 2010;75(22):1982-1987. Matsuzaki T, Sasaki K, Tanizaki Y, et al. Insulin resistance is associated with the pathology of Alzheimer disease: the Hisayama study. Neurology. 2010;75(9):764-770. Ramirez A, Wolfsgruber S, Lange C, et al. Elevated HbA1c is associated with increased risk of incident dementia in primary care patients. J Alzheimers Dis. 2015;44(4):1203-1212. Reger MA, Watson GS, Green PS, et al. Intranasal insulin administration dose-dependently modulates verbal memory and plasma amyloid-beta in memory-impaired older adults. J Alzheimers Dis. 2008;13(3):323-331. Reger MA, Watson GS, Green PS, et al. Intranasal insulin improves cognition and modulates beta-amyloid in early AD. Neurology. 2008;70(6):440-448. Craft S, Baker LD, Montine TJ, et al. Intranasal insulin therapy for Alzheimer disease and amnestic mild cognitive impairment: a pilot clinical trial. Arch Neurol. 2012;69(1):29-38.